Rewrite rules can be used to modify requests in the fly. 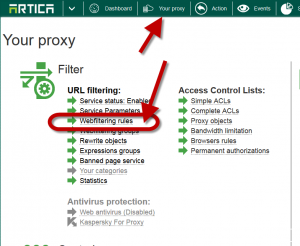 It is a part of the Web filtering. 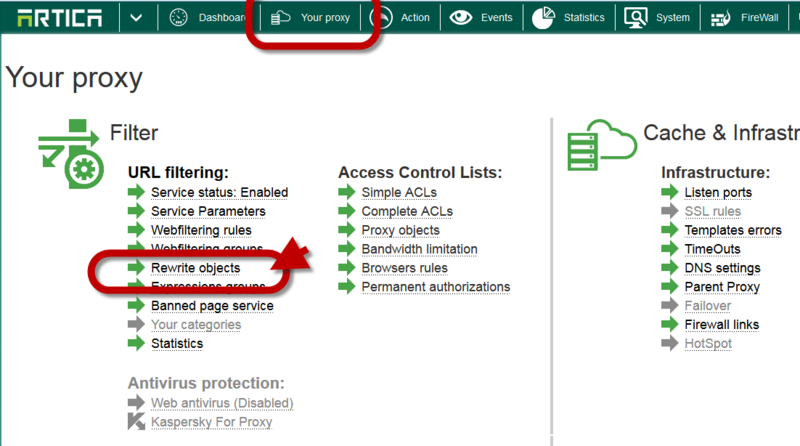 Click on the top menu on Your proxy. Click on new object on the table. Add “bing.” in the first field and “google.” in the second field. 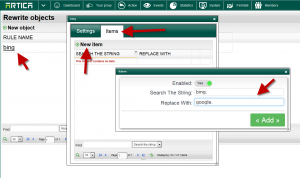 Add “msn.” in the first field and “google.” in the second field. 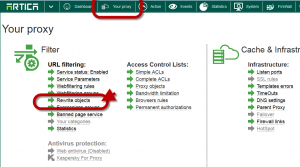 Enable your bing replace rule. 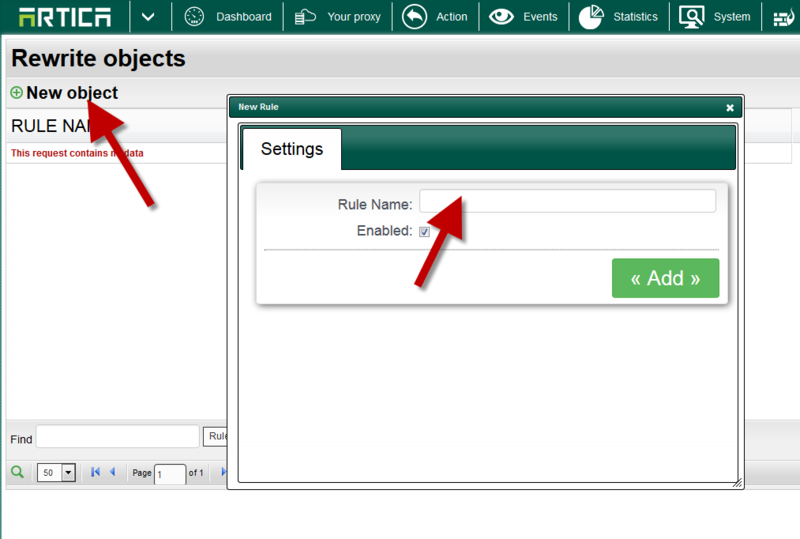 Click on compile rules button to make the rule in production mode. 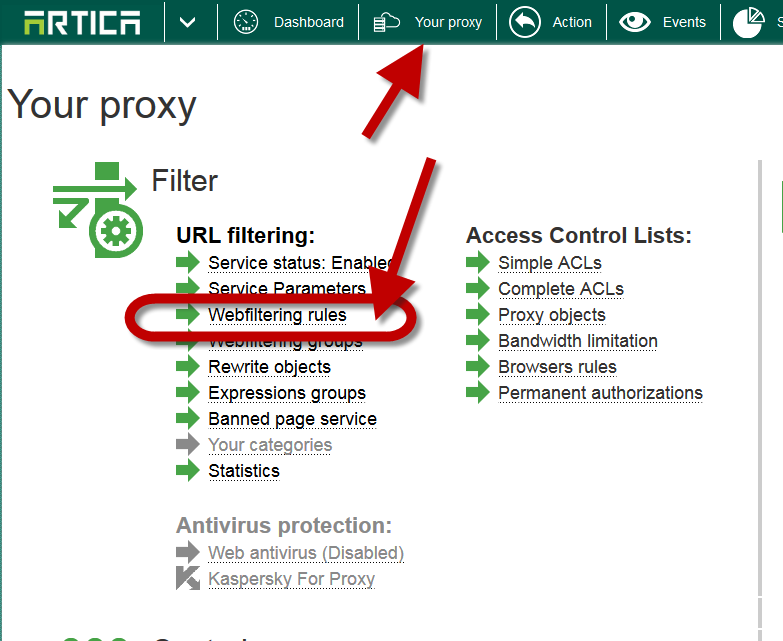 Note: these rules works only on HTTP protocol or HTTPS with proxy decryption method. You cannot use rewrite rules on blocked websites, blocked websites will be blocked first before rewrite urls.